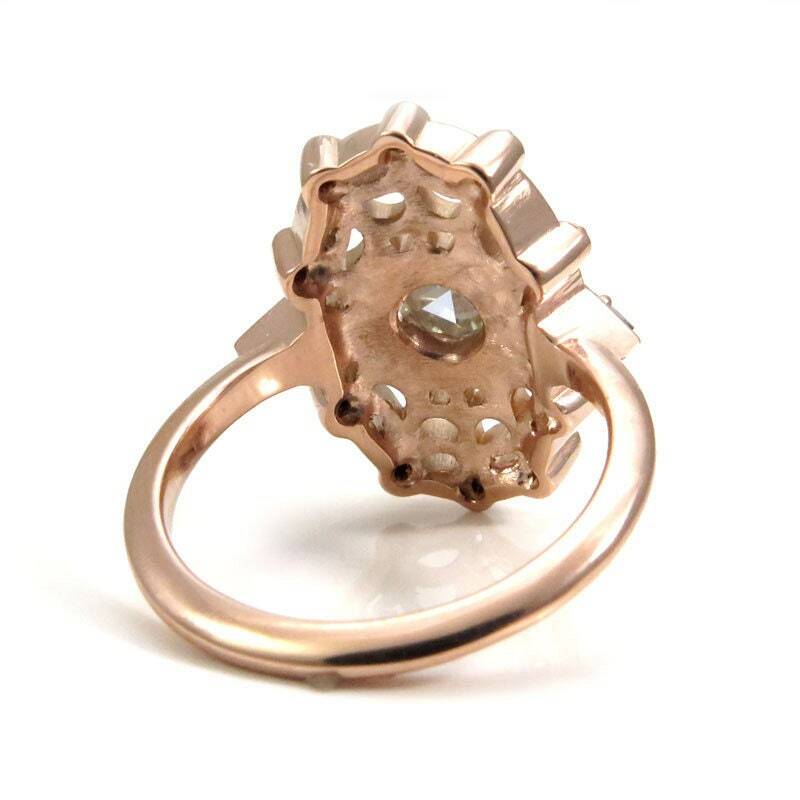 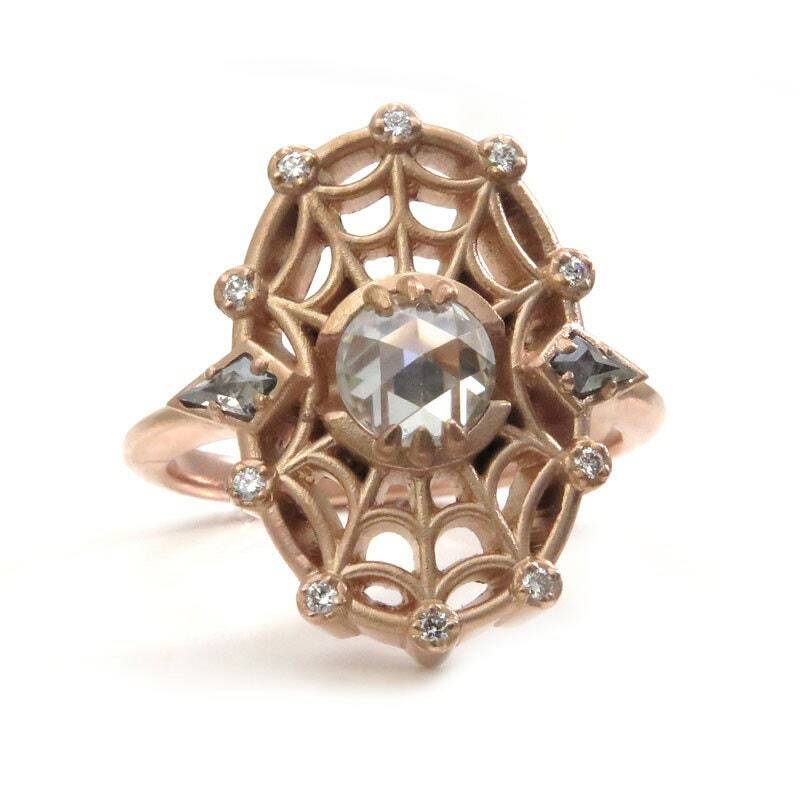 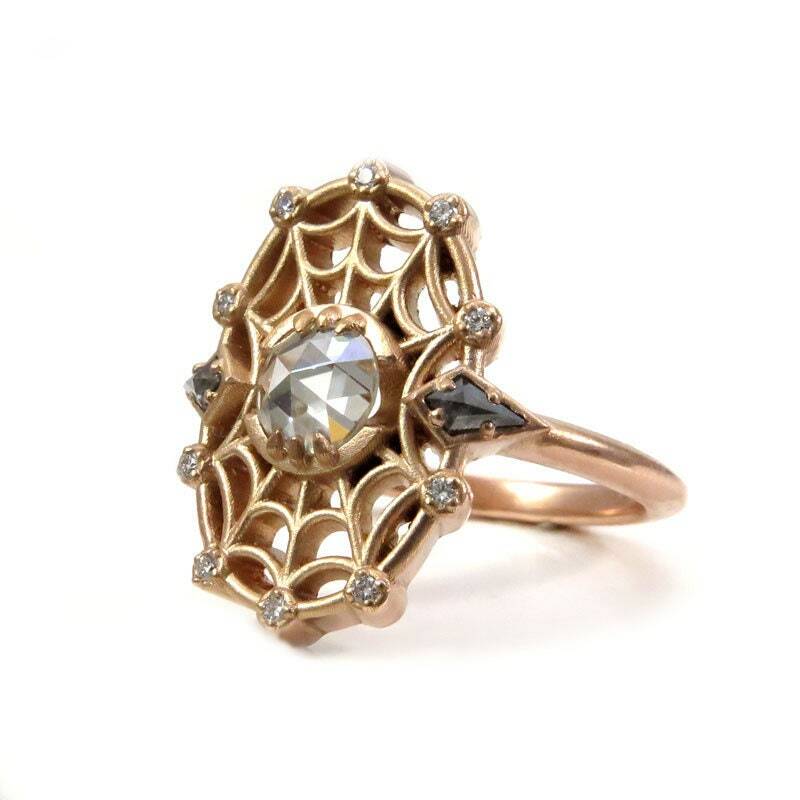 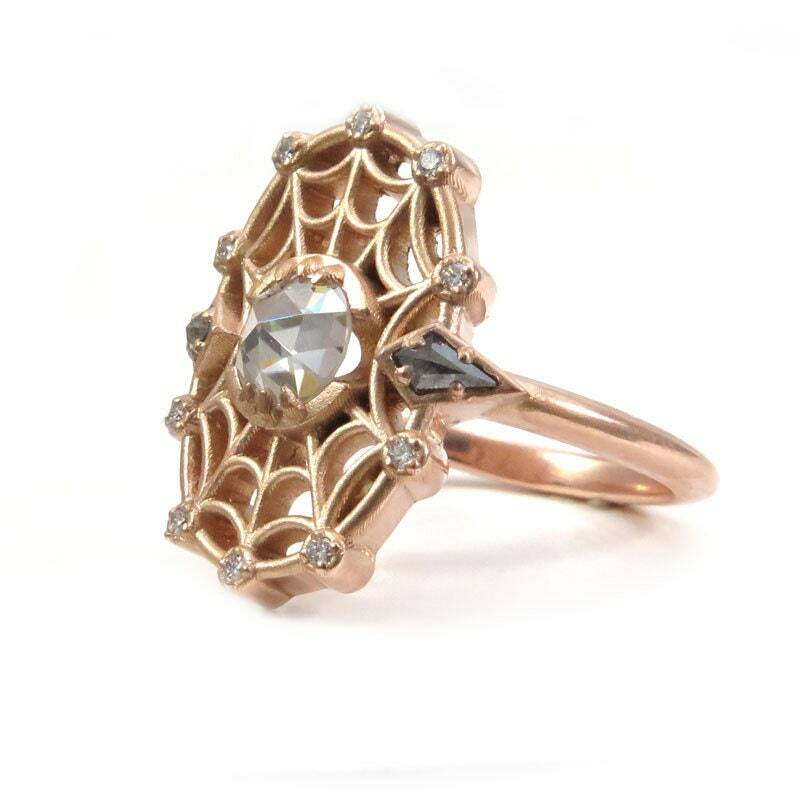 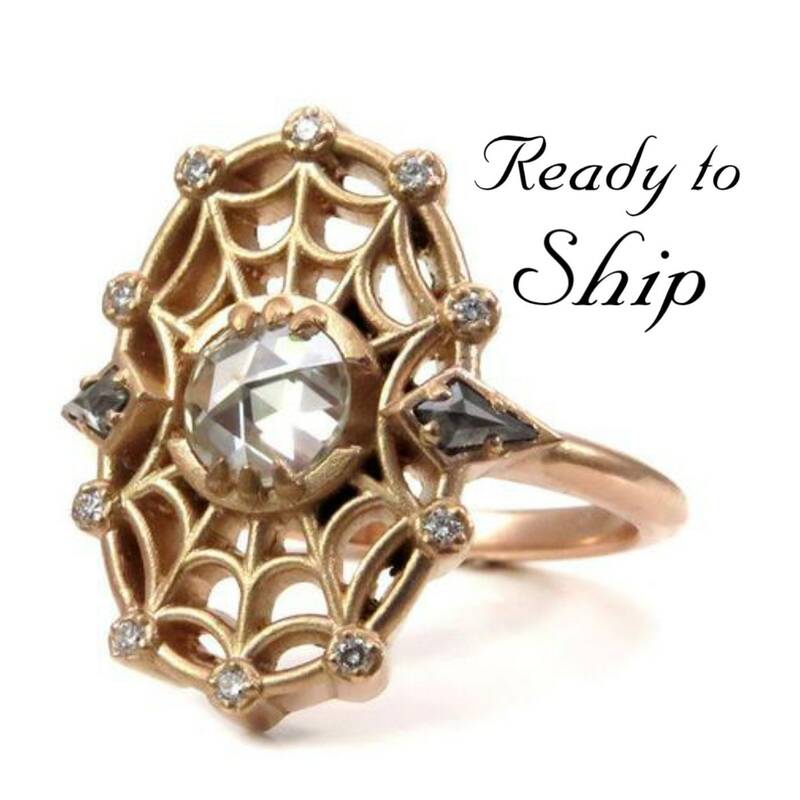 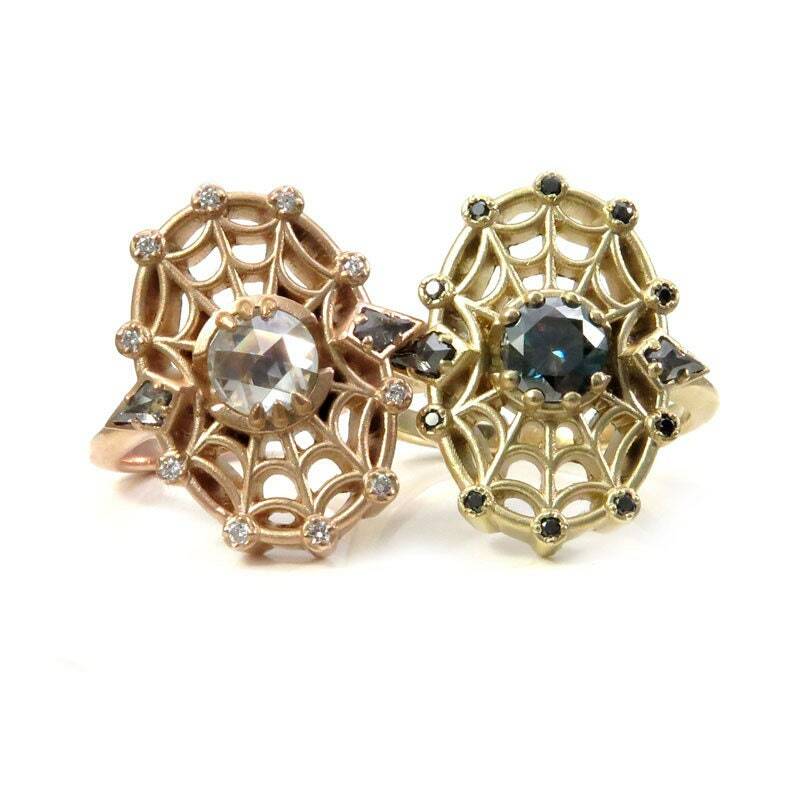 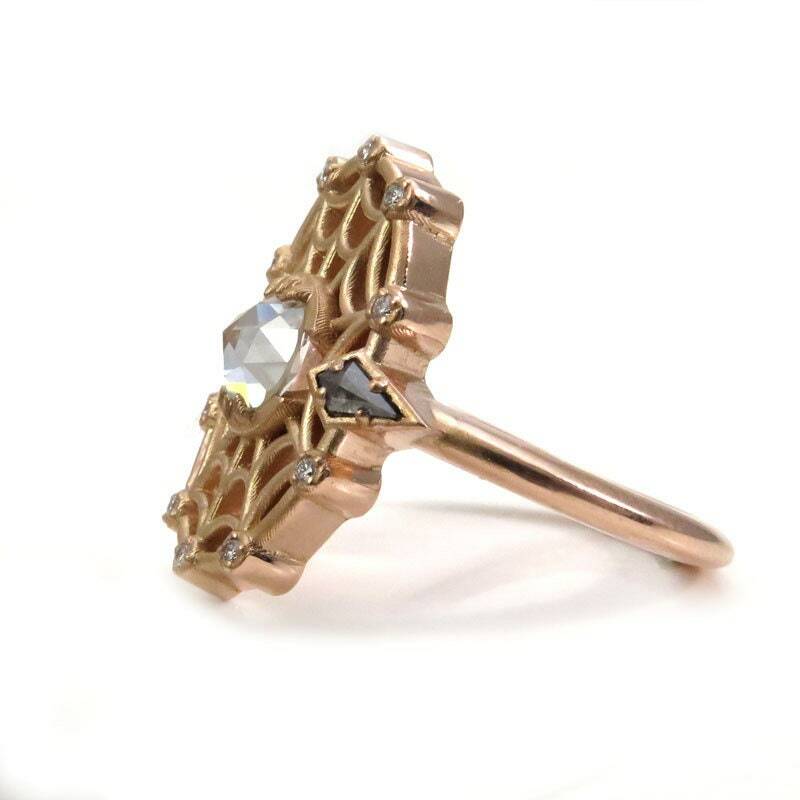 This spider inspired ring has a gold spider web adorned with tiny white diamonds and salt and pepper diamond kites, total diamond weight is .20 carats. 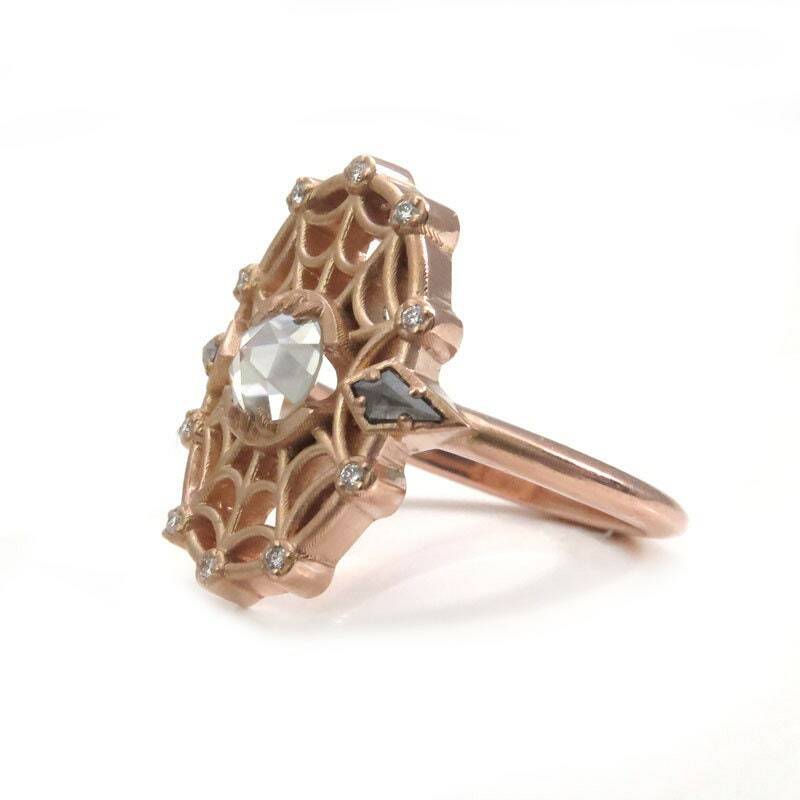 The center stone is a rose cut moissanite that weighs .61 carats. 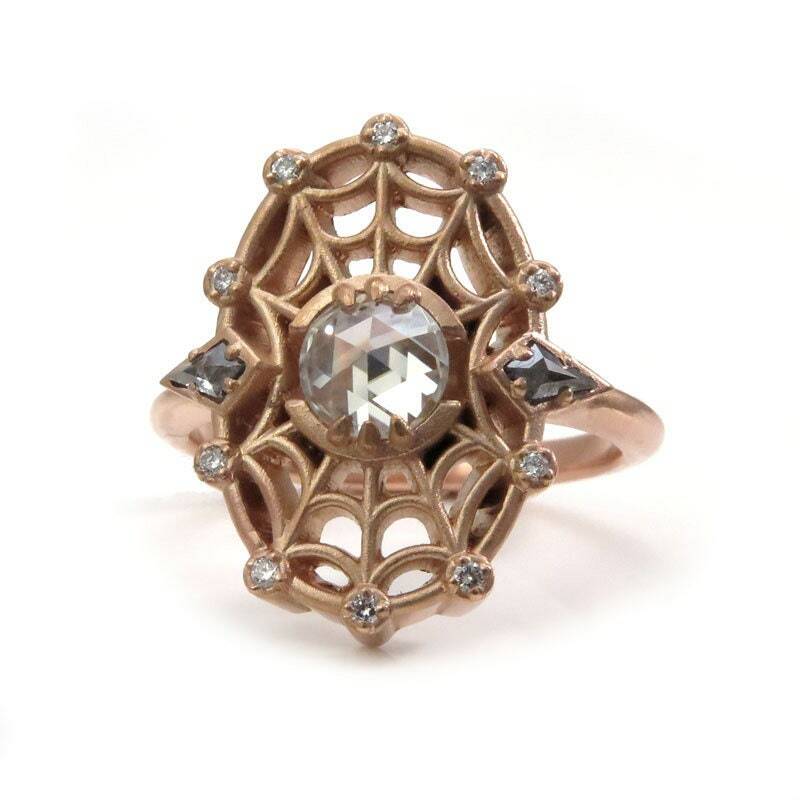 The ring is cast in solid 14k rose gold, I have sandblasted the web to give it a matte finish, the sides and band are polished. 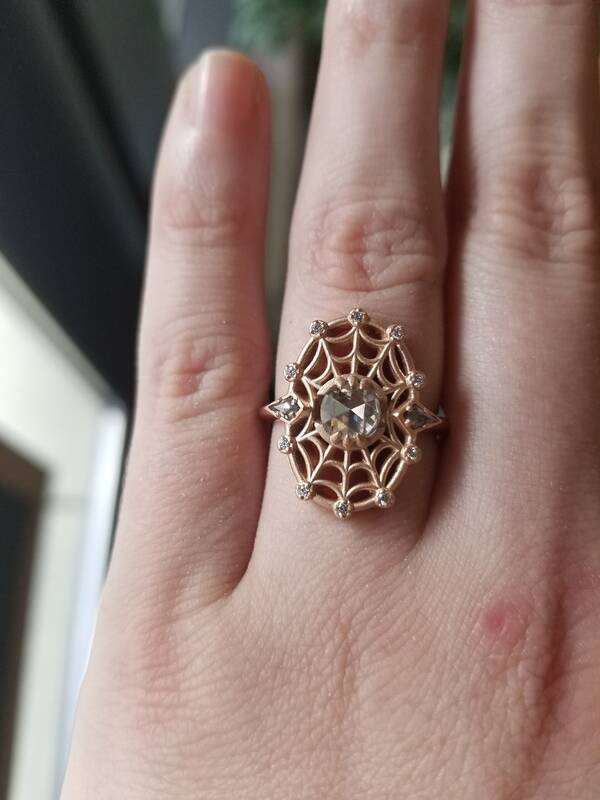 This ring is 20mm's long at the top and the band is 2mm's wide.